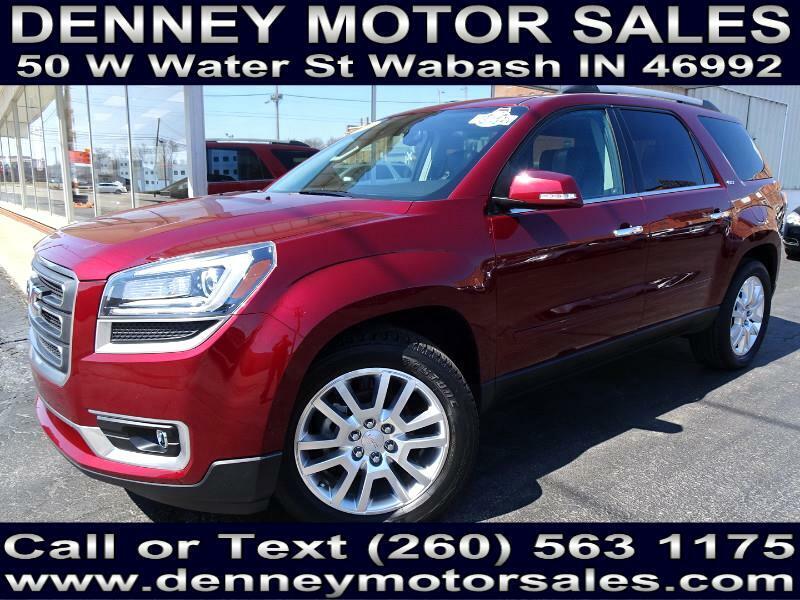 Used 2016 GMC Acadia SLT-1 FWD for Sale in Wabash IN 46992 Denney Motor Sales Inc.
2016 GMC Acadia SLT. 1 Owner, Non Smoker, Clean CarFax, Navigation, Sunroofs, Leather, Warranty! 1 Owner, Non-Smoker, Clean CarFax, Navigation, 2nd Row Captain Seats, Heated Front Seats, Bose Stereo, Power Rear Liftgate, Rear View Camera, Remote Start System, Trailer Towing Package, Lane Departure Warning System, Forward Collision Alert System, Side Blind Zone Alert, Rear Cross Traffic Alert, 3rd Row Seat, 20 Inch Alloy Wheels, Bluetooth Connectivity, XM Satellite Radio, Power Windows, Power Door Locks, Power Mirrors, Power Driver and Passenger Seats, Crimson Red Tintcoat with Black Leaher Interior, 60,000 Mile Warranty, and much more!! Please visit http://www.denneymotorsales.com/ to view more photos of this 2016 GMC Acadia SLT! !